Nick D. explains how Awesome Games Done Quick has brought the video game industry to another level. Awesome Games Done Quick (AGDQ) 2017 has wrapped up, earning a whopping record-breaking total of 2.2 million dollars for cancer research. The bi-annual speed running marathon has continued to grow in popularity year after year and there doesn’t seem to be any indication of it slowing down. This is good news, not only for the speed-running community, but for the video game industry as a whole. In addition to the wonderful charitable work AGDQ performs, it also breathes new life into old games, brings attention to hidden gems, improves the longevity of games new and old, and brings together a positive community. With all of the negativity often found on video game forums and over voice chat, AGDQ stands out as the premier event for the kind of supportive community the video game industry needs. 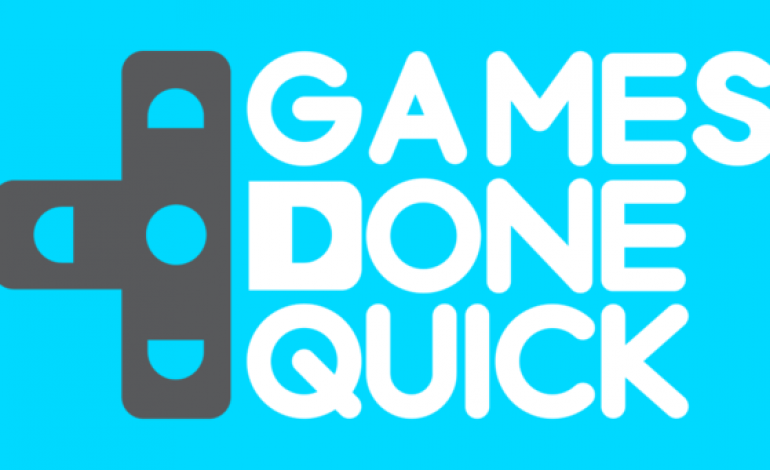 AGDQ and its summer equivalent Summer Games Done Quick (SGDQ) are speed running events that take place over a week’s time in the United States. It was originally created by Speed Demos Archive, which is a site dedicated to hosting speed runs, but has since been handled by its own company Games Done Quick LLC. The first AGDQ was held over three days in 2010 and raised a little over $10,000. The whole thing is broadcast live on Twitch and then later uploaded onto YouTube. The format of the event is simple: games are scheduled over the week with a particular vetted runner from the community trying his/her best to meet a good time. There are often other popular runners behind the performer providing commentary. While the run takes place, viewers may donate money towards the event’s charity. Donors have the option of adding a comment to their donation to be read out loud live while the runner is playing. In addition, there are various donation incentives provided from prizes to be won via raffle to being able to influence future runs such as picking the name that would be given to Link in Wind Waker or , famously in the community, whether to kill or save the animals at the end of the Super Metroid run. One of the biggest overarching criticisms of the video game industry is that so much of it is built to be disposable. The big three publishers EA, Ubisoft, and Activision aim at long running franchises with replaceable, often yearly released, sequels. The Call of Duty franchise is typical of this kind of thinking – each one renders the previous instalment obsolete, none of them bringing anything special enough to the market in order to have any staying power. With a constant and full release schedule, gamers are encouraged to consumer video games one by one as quickly as possible before moving onto the next rather than savour the intricacies of each individual game. AGDQ reverses this course. It is an event built entirely upon the mastery of a game. A speed run is not a casual playthrough, but fast. It requires months, if not years of practice all on a single game. Every screen has to be perfectly optimized. Every time you open a menu, the moves have to be perfect. Every skill-based execution has to be flawless. These runners don’t treat these games as consumable media, but as living and growing challenges to be played for years to come. This is so important as gaming continues to grow as an industry. Gaming isn’t the same as film where a distant appreciation of classic works is enough. These are pieces of media that are designed to be played, to be broken and mastered. A casual player going back to enjoy Chrono Trigger is good, but an expert, knowing every shortcut, every glitch, and every optimum way through the game is far more important to gaming history as it continues to evolve. Somewhat related to the last point is the overall longevity that AGDQ gives to individual games. As part of the disposable culture outlined above, video games have a tendency of always moving forward. Older games are brushed aside and forgotten in order to grab the newest. This trend has been somewhat abated recently with retro gaming becoming more accessible outside of illegal emulation due to rereleases through Steam, Nintendo’s Virtual Console, or the PlayStation Network. Nevertheless, the trend is still to wait for the newest Mario instead of playing the older ones for most. The clever thing about AGDQ is how it breathes life into these old games. You see, there’s only so many times a person can solve a puzzle before the puzzle becomes boring. So, too, many people get bored of the same game when played over and over again. What AGDQ does is show gamers a completely new way of approaching old games that can get even masters of the game excited again. There are always new glitches and optimum paths to be found, and a healthy speed running community can make and old game shine like nothing else. But that’s all for the nostalgic. That’s not the core of this point. AGDQ doesn’t just bring the old back, but they provide a stage upon which new gamers can watch and grow excited for these older games. It would be easy for many series to fall to the wayside, but with the kind of attention that AGDQ provides, many classic games are not just getting played by younger generations, but they’re actively thriving. Absolute classics such as Super Metroid, and the original Mega Man series on the NES have seen a massive surge in popularity, with many of the speed runners being much younger than they’d have to be to feel any kind of nostalgia for the game. This is how gaming stays alive and relevant. The appreciation of the past is key. And AGDQ doesn’t simply focus on the best of the best. They highlight all manners of classic oddities from Pepsiman, to A Nightmare on Elm Street. Indeed, AGDQ doesn’t just reinvigorate old classics, but brings a first life into games that were forgotten the second they came to retail. Speed-running itself is key to this. There is a wonderful kind of appreciation for a game that a person has spent dozens/hundreds of hours of their life to. With more and more people watching AGDQ and SGDQ every year, we’re sure to see more classic games getting the attention they truly deserve. It’s very easy to get discouraged by the gaming community. All one has to do is go on a Final Fantasy board around the release of a new game to see the kind of negativity that exists, with gamers desperate to rip and tear. As the community is necessarily internet-based, trolling and harassment is endless, with movements such as Gamergate, and the like, giving most sane gamers a bad name. The speed-running community is quite different. New runners are encouraged to join up, with older runner providing much-needed support and guidance. Since each game is so unique, tightly-woven communities tend to get formed around individual games. Bigger games like Mega Man X will have larger communities than say Silent Hill 3, but communities exist for all manner of games. The reason that the speed-running community is so important is because it ties all of this together. Without a community of passionate, energetic people, there would be no runs, no competition pushing people forward. Without the runs, there’d be no AGDQ, nor would there be anyone proven or popular enough to helm a similar event. It’s the speed-running community that keeps games relevant, that pushes old games to their limits and excites the minds of new gamers. If the community disappeared, gaming would be much poorer. AGDQ has revealed itself to be a force in the video game industry. Year after year it exceeds all expectations, doing good the way that only dedicated gamers can do. Beyond the good it does for cancer research and Doctors Without Borders, it helps keep the industry alive. AGDQ has gamers looking at the past for inspiration instead of blindly grabbing the next big AAA game. It also helps bring attention to newer hits that fell under the radar for many. Altogether, AGDQ is one of the most positive aspects of the video game industry currently.